The FEA granted a record $406,000 in scholarships to its 2019-2020 FEA Scholars with the mission of increasing access to international education. 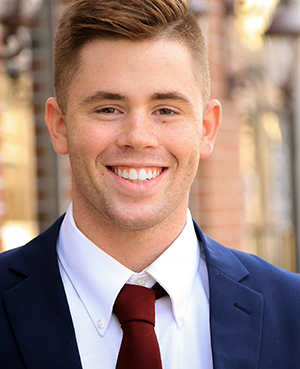 Healy received $5,000 to help advance his business administration, marketing and finance studies while studying at the Foundation for International Education (FIE) Kensington Campus in London during the fall 2019 semester. Healy aspires to work in healthcare sales, but notes wealth management is an alternative career path. He credits SIUE alumnus Grahaeme Hesp, PhD, regional director of Institutional Relations at FIE, with connecting him to this study abroad opportunity. Healy will be posting journal entries about his experience via the FEA website. For more information on the 2019-2020 FEA Scholars, visit www.fundforeducationabroad.org. Photo: SIUE School of Business junior Matthew Healy, of Mason.